Office workers spend five days a week, eight hours per day sitting in a chair facing a computer. There are many unavoidable health problems like eye strain, neck and shoulder tension, obesity due to the physical inactiveness and more. We certainly don’t wish our hard-works being rewarded by the Office Worker’s Syndrome. 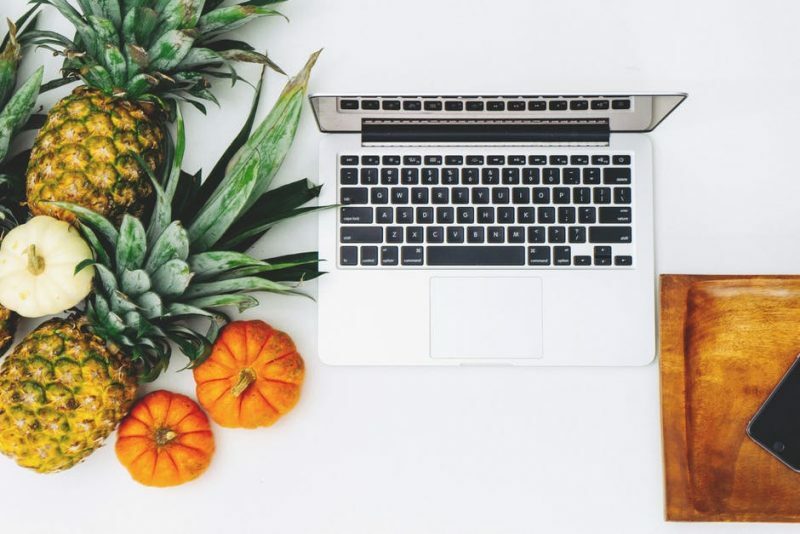 Today, we are sharing you some tips to help you stay healthy and in shape at work! We often lose track of how much water we’re drinking in a day when we are immersed in work. Dehydration can cause ill effects such as a sore throat, drowsiness and sluggishness. The suggested daily water intake for an adult is between six to eight glasses. Please be noted working in an air-conditioned office, which causes a low water content in the atmosphere, can lead to increased water loss from the lungs and through the skin. Download a desktop app or mobile app that reminds you to drink water every hour. It can help you to stay fresh, healthy and more productive! Eating out is a huge costing. An average lunch in Klang Valley cost about RM10. 22 days of work a month, RM10 a day, and you’re looking at RM220 on lunch costs. To make it worse, the food is usually unhealthy. MSG, excess oil, excess salts, unbalanced nutritious, etc. A very economical and healthy solution for this is to prep your meal on a weekly basis. All you need is enough of Tupperware, some couple of hours in your weekends to shop for groceries and the process of meal-prepping. Then, your mind can be eased for every breakfast, lunch, dinner and snack for the rest of the week. 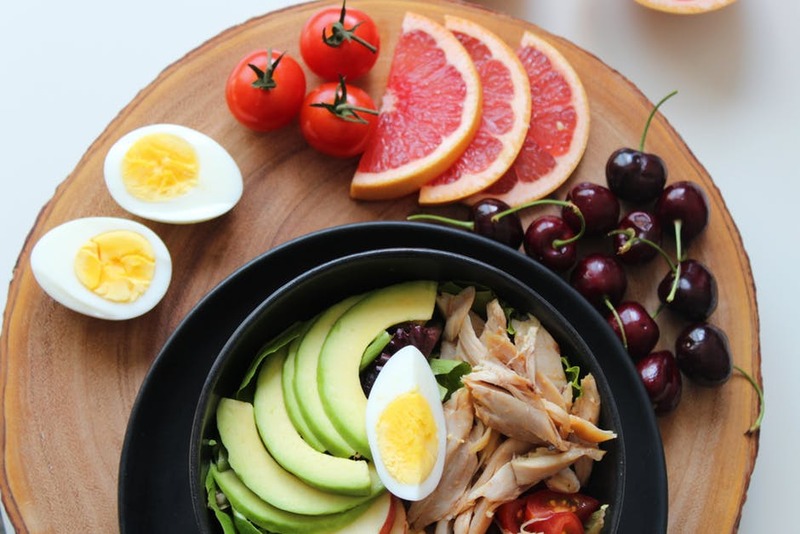 If you don’t like the idea of eating overnight food (which is totally edible anyway), you can only prep for your snacks. Pack some fruits, veggie sticks (carrot or celery), yoghurts, cheese or nuts to munch between meals to substitute the unhealthy potato chips. We understand most Malaysians start a day with a cup of coffee. This is totally okay. What not okay is if you keep drinking caffeinated beverages to boost your energy. 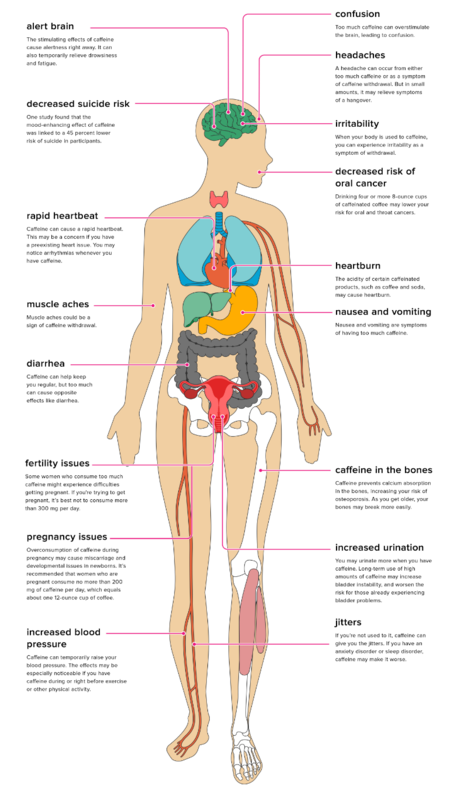 Here’s a chart from Healthline that shows the effects of caffeine on our body. Keep this in mind and think twice when you want to take an extra cup of coffee or another can of energy drink. Despite the bad effects of smoking and vaping, many people, especially working adults still smoke/vape to deal with their work stress. The small stick of tobacco elevates mood and provides a short-term mental relief. However, those ‘happy’ effects are temporary. You still need to deal with your problems after the cigarette break. The bad effects, on the other hand, are long term. So, be mindful every time when you thinking about a nicotine fix. As office dwellers, we literally spend most of our life sitting in front of the desk. It is very crucial for us to maintain a good posture to prevent problems such as hunched back, frozen shoulder and painful neck. 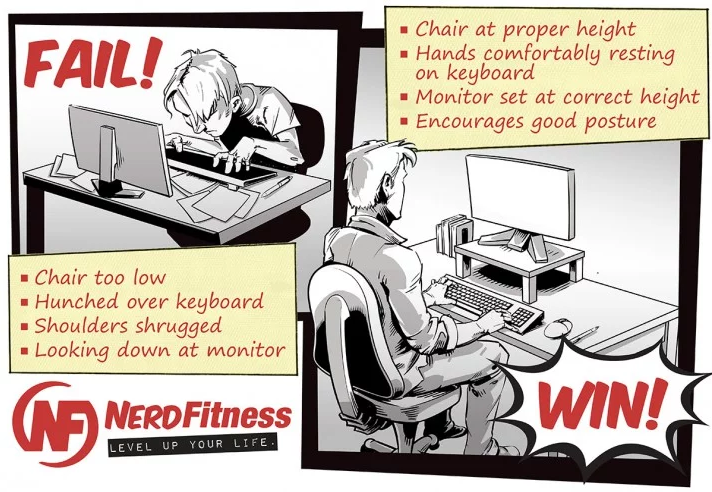 This article fromNerd Fitness is very helpful for everyone of us to stay limber in the office. Keeping the sitting position for long hours can be harmful to our health. Take a 3-minute break every hour to stand up, stretch your body, walk to the water dispenser to refill your bottle or go to the washroom. This can reduce your stress, recharge your energy and increase your creativity. So, when you’re out of ideas or very tired, take a break; rejuvenate, and be more productive. Night sleep is very important. Stop thinking about your work an hour before your sleep time. Make sure you get enough sleep before you go back to the workplace to next day. Works never stop coming, therefore, you need a strong and healthy body to deliver the best work. Nothing is more important than getting a good rest. Always remember, we work hard to live a better life. You can only have a good life when you’re healthy.